Alter, a native of Chicago who has known Obama and his circle for nearly a decade, provides a fast-paced inside account of the breakneck speed with which President-elect Obama, and then President Obama, began making critical decisions and assuming the burdens of office amid the greatest economic crisis since the Great Depression. With dozens of exclusive details about everything from the selection of Hillary Clinton as secretary of state to the president's secrets for running a good meeting, Alter paints a fresh and often surprising portrait of a highly disciplined and self-aware president and his colourful team. We see a young president of extraordinary temperament grappling with the task of stimulating the economy, bailing out large banks, taking over the American auto industry, making the crucial decision about sending more troops to Afghanistan, deciding whether to negotiate with Iran about its nuclear program, and fighting for a major reform of the country's health care system. 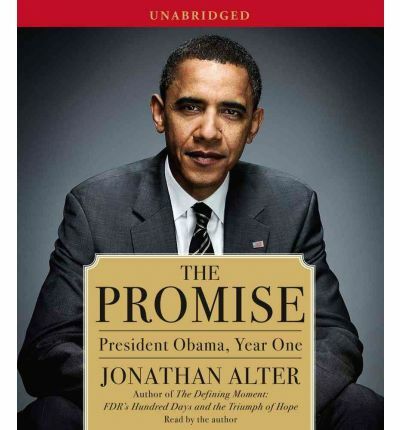 Alter explains what Obama is like in private, how he operates, and why he is so insistent on leading the country and the world into a new era of wrenching change. About the Author: Jonathan Alter is a senior editor at Newsweek, where, since 1991, he has written an acclaimed column on politics, history, media, and society at large. He is also an analyst and contributing correspondent for NBC News. Alter lives in Montclair, New Jersey, with his wife and three children.